Craftsman with bicycleThe craftsman was called to duty. He travels with his toolbox, which he can place on his bicycle. 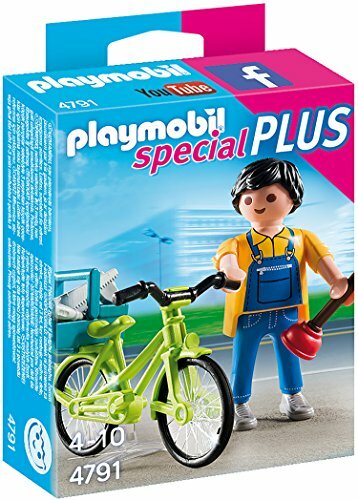 Playmobil – Girl with guinea pig. The little guinea pigs are waiting for the delicious vegetables. There are lettuce and carrots. The girl feeds the guinea pigs and can attach a new bottle.